Each winter, since I first began photographing the butterflies in 2006, I compare the above graph from Journey North to the number of butterflies observed on Cape Ann. As you can clearly see, this is the worst year on record, which corresponds to the near complete lack of Monarchs in our region this past summer. Many thanks to Kathy Chapman and our Readers for forwarding the following New York Times update about the shrinking Monarch Butterfly population. 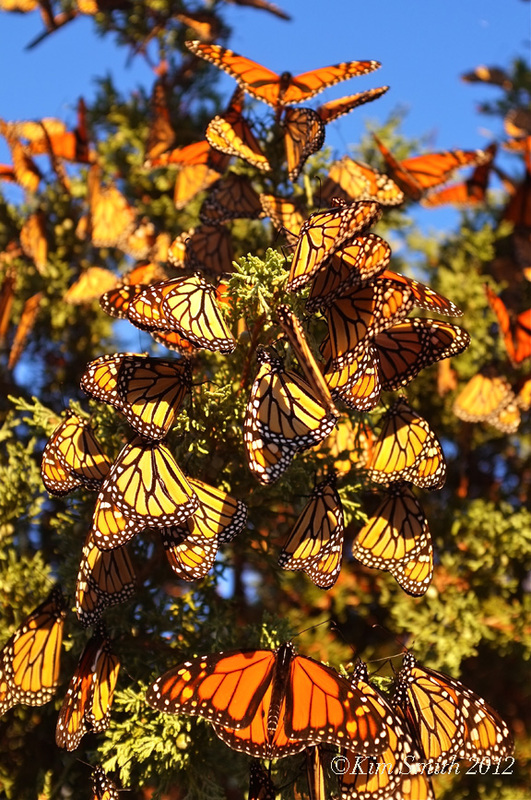 Faltering under extreme weather and vanishing habitats, the yearly winter migration of monarch butterflies to a handful of forested Mexican mountains dwindled precipitously in December, continuing what scientists said was an increasingly alarming decline. The migrating population has become so small — perhaps 35 million, experts guess — that the prospects of its rebounding to levels seen even five years ago are diminishing. At worst, scientists said, a migration widely called one of the world’s great natural spectacles is in danger of effectively vanishing. The Mexican government and the World Wildlife Fund said at a news conference on Wednesday that the span of forest inhabited by the overwintering monarchs shrank last month to a bare 1.65 acres — the equivalent of about one and a quarter football fields. Not only was that a record low, but it was just 56 percent of last year’s total, which was itself a record low. At their peak in 1996, the monarchs occupied nearly 45 acres of forest. 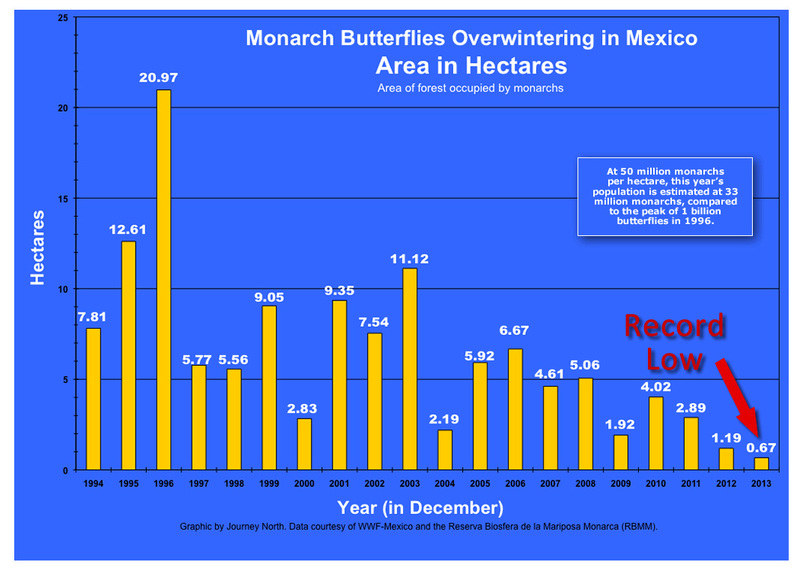 The acreage covered by monarchs, which has been surveyed annually since 1993, is a rough proxy for the actual number of butterflies that survive the arduous migration to and from the mountains. Karen S. Oberhauser, a conservation biologist at the University of Minnesota who has studied monarchs for decades, called the latest estimate shocking. This entry was posted in Monarch Butterfly Film and tagged herbicides, Michael Wines, Monarch butterfly, monsanto, New York Times, Round Up ready crops, shrinking monarch butterfly population on January 30, 2014 by Kim Smith.